The Dougal Harris Tweed jacket has been released by Harris Tweed Scotland as their limited edition lightweight jacket. The tweed jacket has been a gentleman’s wardrobe staple for the last century and to celebrate the Harris Tweed Authorities centenary, cloth woven in the year has a special black orb label. This limited edition jacket features suede elbow patches, slanted pockets, 2 side vents, leather buttons, wooden hanger, a contemporary tailored fit, and the black ‘Centenary Label’. 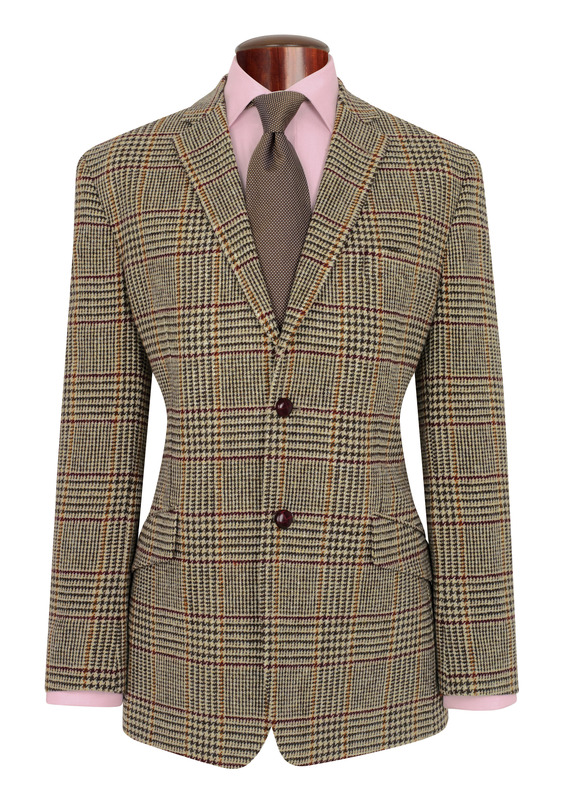 The pattern of the Dougal jacket contains burgundy, orange, beige and brown which creates a classic check. When pairing with a shirt, be mindful that a plain shirt will match better because of the large check on the jacket itself. This jacket feels very well made and if you’re looking for a Harris Tweed jacket I would highly recommend it.